0 Comments Published by Cedric Benetti on Saturday, April 17, 2010 at 4/17/2010 11:16:00 PM. 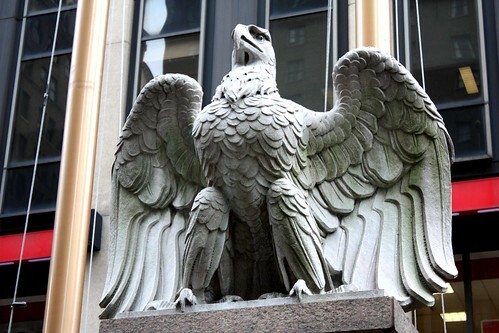 One of the 3 eagles that adorned the former Pennsylvania Station, and that are now still to be found in New york. There used to be 22 of them decorating the famous train station before it got replaced in the 1960s by an ignoble rat hole, the current Penn Station. 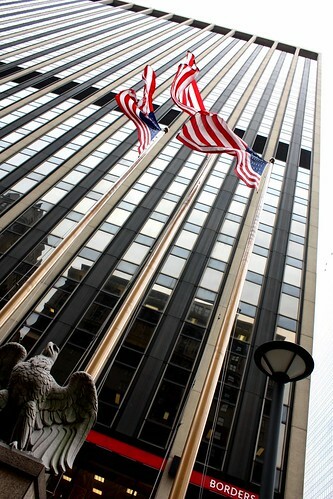 Now there are only 14 of them left, scattered a bit all over the East coast. The others probably got dumped onto a Jersey landfill somewhere.